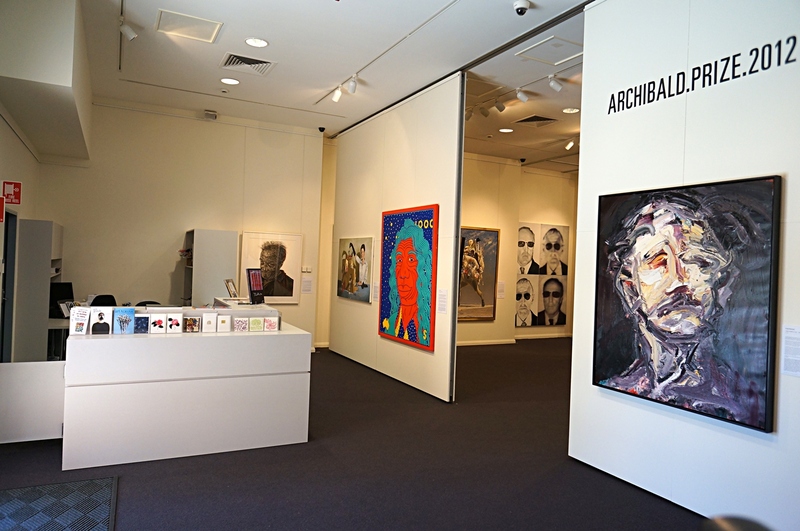 The foyer during the touring 2012 Archibald Exhibition. Artist Floor Talk with Tim Winters from Stuart Town. Cowra Public Students visiting the 2012 Archibald Exhibition. Kids paint their chairs as part of Cowra Regional Gallery's summer workshops. Monks in the gallery working on a mandala. The award is open to artists over 18 years living and working in Australia. The Calleen Art Award was initiated in 1977 by Patricia Fagan OAM and is sponsored by the Calleen Trust. Awards Judge Anne Flannagan with Award winning work Anwekety (Bush Plum) by Gladdy Kemarre. Rowen Matthews, Rain break, 2009 Oil on canvas (detail), 107 cm x 107 cm. Winner 2009 Calleen Art Award. Peter Gardiner, Landscape 2010 No.VIII 2010 (detail), oil on canvas 210 x 180 cm. Winner 2011 Calleen Art Award. The Cowra Regional Art Gallery aims to engage our community and visitors from across Australia and overseas in cultural experiences that foster an awareness, appreciation and enjoyment of the visual arts. The gallery’s program of public events includes guest speaker and artists’ floor talks; educational activities for local school groups; and innovative workshops for children and adults. The Gallery Collection includes art works and objects by emerging and established Australian artists. At its core is the Calleen Collection established by Mrs Patrica Fagan OAM in 1977 through an annual acquisitive art prize – the Calleen Art Award. The Olive Cotton Collection comprising many key works by the artist is another important feature of the Gallery Collection. The gallery also houses significant heritage items relating to the Cowra POW Camp and the Pardey (photographic) Collection. The gallery shop offers visitors a varied and reasonably priced range of items including cards from major Australian art institutions, hand made cards by local artists, jewellery, felting, scarves and glass. There are also art magazines, exhibition catalogues, art books and local history publications. The gallery is located in the same precinct as the Cowra Civic Centre and the Australian World Peace Bell. It is a purpose built facility and shares the same building with the Cowra Shire Library. Since opening in October 2000 the Gallery has enhanced the cultural landscape of the region and provided unique professional development opportunities for artists including artist-in-residency projects and solo exhibitions for regional artists. The Cowra Regional Art Gallery is a cultural facility of the Cowra Shire Council, a member of Public Galleries and Museums NSW and is financially supported by the State Government through Arts NSW.